Isn’t it time you tried Callaway's Chrome Soft Ball? 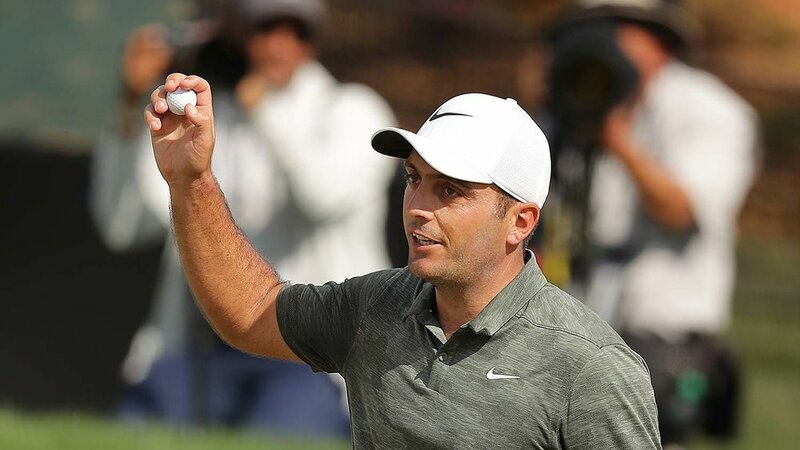 When Francesco Molinari moved to Callaway a couple of weeks ago, switching balls from his lifelong favourite to a completely new model was a huge decision. “The golf ball is always the biggest question mark when you make a change,” he said. “With the clubs there is a bunch of stuff you can do but with the ball it is what it is,” said Molinari, who will play Callaway’s Chrome Soft X golf ball. “It was the biggest priority when it came to decide where to go and it was a pleasant surprise. I was impressed with the ball speed and the spin was where it was supposed to be. Notable winners in 2018 included: Phil Mickelson (WGC Mexico), Sergio Garcia (Singapore Open), Aaron Wise (AT&T Byron Nelson), Sam Burns (Savannah Championship), Michelle Wie (HSBC Women’s World Championship), Lydia Ko (Mediheal Championship), Kiradech Aphibarnrat (World Super 6 Perth), Alex Noren (French Open)… So far this year, Mickelson has bagged the AT&T Pro-Am with it, and Shauffele claimed the season opener in Hawaii with one. Both Chrome Softs balls are made of the strongest and thinnest material known to man. It’s called “graphene”, and it’s both immensely strongest and ridiculously thin (just one atom thick!). Callaway says every component of the latest Chrome Softs has been improved, and thanks to “graphene” they've got a strength advantage over the competition, without compromising feel. Graphene has been used to create a thinner, lighter “crash helmet” style outer core, which means the inner core can be larger. That means more ball speed, and Callaway says the Chrome Soft’s (again, thanks to graphene) lowers spin increases launch and tightens accuracy with the driver. Callaway promised the original lower compression Chrome Soft was “the ball to change the ball”, and a couple of years on, softer balls have never been so popular. For 2019 there’s a new Chrome Soft that’s infused with “graphene”, a phenomenally light yet ultra-strong material that’s been used to strengthen the outer core without sacrificing the overall soft feel. With Francesco Molinari and Phil Mickelson already having won on tour with it this year, we thought it was time to see how it performed for four TG readers with average handicaps. q: First impressions compared to your usual ball? DD: I usually play a Titleist Pro V1 until I lose too many, then I’ll switch to whatever I’ve got spare. Distance-wise with driver and irons the Callaway was very similar, but I thought the Chrome Soft (standard, not the X) felt more forgiving and tracked well even in windy conditions. CL: Srixon AD333 Tour is my preferred ball primarily because I feel comfortable with it, and the cost. Driver distance for me with the Chrome Soft (and X) was the same, but I feel like I’ve picked up 10 yards with my irons. GF: The Chrome Softs (standard and X model) were better for distance than my usual Srixon AD333 Tour ball. I reckon I found 10-15 yards with the driver and half-a-club with my irons. SD: I reckon both my drives and iron shots have been straighter and more accurate using the Chrome Soft rather than my usual Srixon AD333. Q: And how about performance around the greens and feel when putting? CL: I’m not sure why, but I felt like I made better contact with the Chrome Softs (possibly because the feel is softer) in the short game. They also came off the putter really solidly and I felt like I had better distance control (possibly because of the softer feel). GF: Spin and control around a green is difficult to quantify, but I reckon my putting from distance greatly improved, and the putts seemed to have a really good roll, too. SD: Inside 125 yards I definitely got a better feeling of control hitting into greens. q: Did you have a preference for Chrome Soft or Chrome Soft X? DD: I’d edge towards the Chrome Soft purely because of how it feels off the driver and when putting. I also really liked the added durability of both Chrome Softs; I didn’t scuff or scratch one, which is pretty impressive. CL: For me it’s the Chrome Soft. That’s really down to the extra feel and control when hitting wedges up to an 8-iron. I can now get my shots to stop on the green, which is a great benefit. GF: Right now the control and distance package for my swing speed would mean I’d go for the Chrome Soft X. I’m really interested to see if I feel the same way once the course dries out and conditions improve. SD: Tough question. I definitely prefer the feel of the Chrome Soft, but I’ve actually scored better with the X. Lower compression balls in general have really benefited my game, and since using Chrome Soft I’ve developed spin on approach shots, which is impressive. q: Is £38 a dozen a fair price, and would you recommend them? DD: Without a doubt. 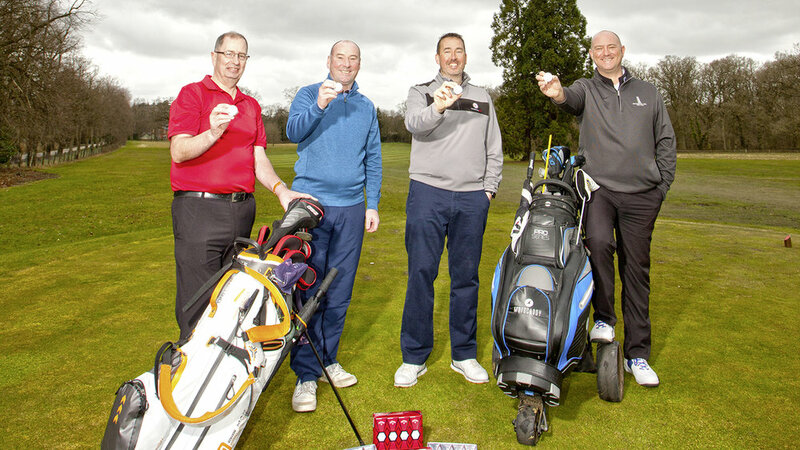 The price is fair, £38 a dozen represents good value (especially when you think Garcia and Mickelson play it on tour). I’ll be buying more when I run out. CL: I’ve already recommended them to friends and family, and given them a sleeve to try. They were just as impressed as me. Even though the price has gone up from last year, £38 is a reasonable price. They’ll be on my Christmas list. GF: With the Chrome Soft being highly comparable to all other premium balls in terms of performance, yet coming in for less money, £38 is extremely reasonable. I would happily recommend them to other golfers of any standard. SD: It’s a fair price to pay for what is a quality tour-proven product. I’d recommend them to any golfers wanting excellent feel.